We’re delighted to announce the selected projects for Performance(s) between two shores عروض بين شاطئي. After the jury’s deliberation in September 2016 in Brussels, the selected projects are: Mind, The Gap by Hani Sami (Egypt), Transaction by Mithkal Alzghair (Syria), and Three Rooms by Amal Omran (Syria). Further details on all the projects are provided below. Performance(s) between Two Shores is a European Commission supported programme working with recently arrived Arab artists based in Europe, and is a collaboration between some of Europe’s leading independent festivals and cultural organizations in the field of performing arts. From a call for artistic proposals launched in June 2016, the project commissions and tours three new works created by Arab theatre or dance artists who have been living in Europe for a maximum of six years. The project aims to support artistic professional development in Europe through creation and touring support, create new international audiences with a focus on engaging under-represented audiences and facilitate the sharing of skills and knowledge between partners. After the jury’s deliberation in September 2016 in Brussels, please find below the three selected projects. Three Rooms is an original performance work by Amal Omran, Hatem Hadawe and Kathryn Hamilton about Syrian prisons, Virtual Reality and the limits of empathy. The project was born out of a real life situation: Hatem, one of the collaborators, waiting for a medical visa to go to France in order to get treatment for shrapnel lodged in his neck As his visa was denied his collaborators were forced to devise a strategy: to use existing mobility networks for artists to find a way of getting Hatem out of his current prison, Turkey. Amal Omran is an actor and director. Most recently she appeared in While I Was Waiting directed by Omar Abusaada and the International Short Film Festival Jury prize winning Bon Voyage by Swiss director, Marc Wilkins. Amal Omran also appeared in Sacrifices (Official Selection, Cannes Film Festival 2002) and Zainab and the River (Best Actress at the Festival des Trois Continents). 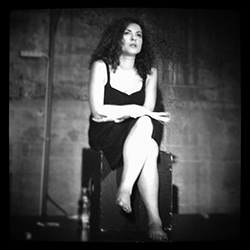 Her work as a director includes A Season In Hell (Aleppo, Alexandria, Amman-1999); Adonis-Hallaj (Damascus-2004), Woman Alone (Damascus -2010), Alkohol (Damascus, Aleppo-2002) and Endless Rehearsal (Sanliurfa-Turkey-2014). Suspension and Disbelief is an interactive lecture performance on how we perceive and consume images in our current age, intertwining theoretical musings and visual projections. Focusing on iconic images from the last decade, particularly from the Arab world, the lecturer will guide audiences on a journey of intellect, trauma, and catharsis. 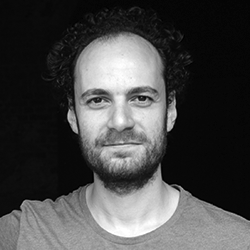 Hani Sami is a film and theatre maker with a B.A. in Theatre from the American university in Cairo and a M.A. in Filmmaking from l’École Supérieur d’Audiovisuel in Toulouse. 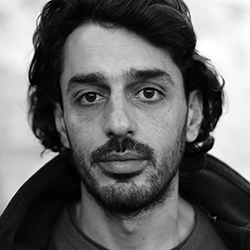 Having worked on more than a dozen productions, Sami also runs a film school in Cairo, and is a published poet. Images entertain us; others inform us. Some are like bombs whose sounds are smothered. Some are too repellent to be seen, for the horror they might reveal, and thus are conveniently banished, to the advantage of the political apparatus. The media, gradually emptied of any humanity, disemboweling the already dead, endlessly loop more images. How can we continue to produce images today, to show to the world what could be going on? How can the “un-representable” be represented? Mithkal is opening a choreographic space to find the convergence between two parallel lines, reality and art. He aspires to create images that whisper, making the cries of fear hidden within them become audible. Bodies and objects, scattered in space as if a bomb has exploded. This is after a disaster. This is the starting point. Mithkal Alzghair is a Syrian choreographer and dancer. Born in 1981 he studied in the Higher Institute of Dramatic Art in Damascus, Syria and obtained a Masters of choreographic studies exerce at the National Choreographic Centre of Montpellier, France). He created Displacement in March 2016, as a solo piece and a three hander in which he questions his legacy in the context of being an exile. The show won the first prize at the international competition Danse élargie, organized by the Théâtre de la Ville in Paris.